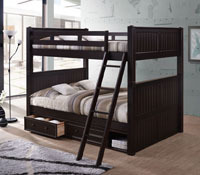 eFurnitureHouse offers one of the largest selections of kids' bunk beds online. Shop our extensive collection of bunk beds for kids and adults in every size and configuration from twin over twin, twin over full to full over full, XL bunks and queen over queen bunk beds. Our collection of bunk beds with stairs provide a piece of mind for parents with safety concerns while the built-in stairs double up as storage drawers. Newly added to our collection, are the twin & full size triple bunk beds and the extra long bunk beds for youth and adults. Triple bunks for sale are the perfect solution for accommodating three sleeping spaces in one room while allowing extra space for study and play. Extra long bunk beds are great for accommodating tall children, college students and adults between 6'2'' and 6'5'' in height. Our futon bunks for sale are a functional solution for limited space, great for lounging and entertaining by day, doubles up as a full size bed by night for accommodating overnight guests. Futon bunks are great for guest rooms, dorm rooms and vacation homes. Most of our bunks can be customized to fit your needs with a variety of options such as under bed drawers, under bed trundles, drawer-trundle combo. Additionally, most of our twin, full, extra long and Queen bunk beds are detachable, that means they convert to two separate beds if you decide to some time in the future. Our bunks are offered in both wood and metal and are available in every popular style, size and finish. Among our most popular are our white, gray, navy blue and espresso twin wood bunks, black full size, and Queen over Queen bunk beds. 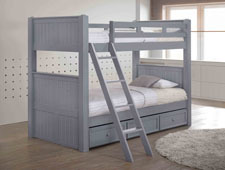 If you have a low ceiling or safety concerns, a 68” high bunk bed is recommended for young boys and girls. If ceiling height is not an issue, a 70” high bunk is a popular choice. 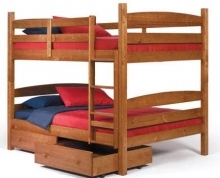 Our bunk beds for kids are made from high-quality wood and metal. 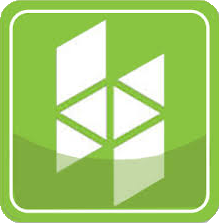 Our manufacturers are committed to conforming and or exceeding all relevant CPSC and ASTM safety specifications. Our convertible collection features several finishes such as white, gray, black, espresso, dark pecan, navy blue, black and walnut. For your convenience, many of our bunks can be paired with a matching chest and desk. If you have limited space and want to provide your young one with a fun sleeping arrangement, a kid’s bunk bed is your best choice!